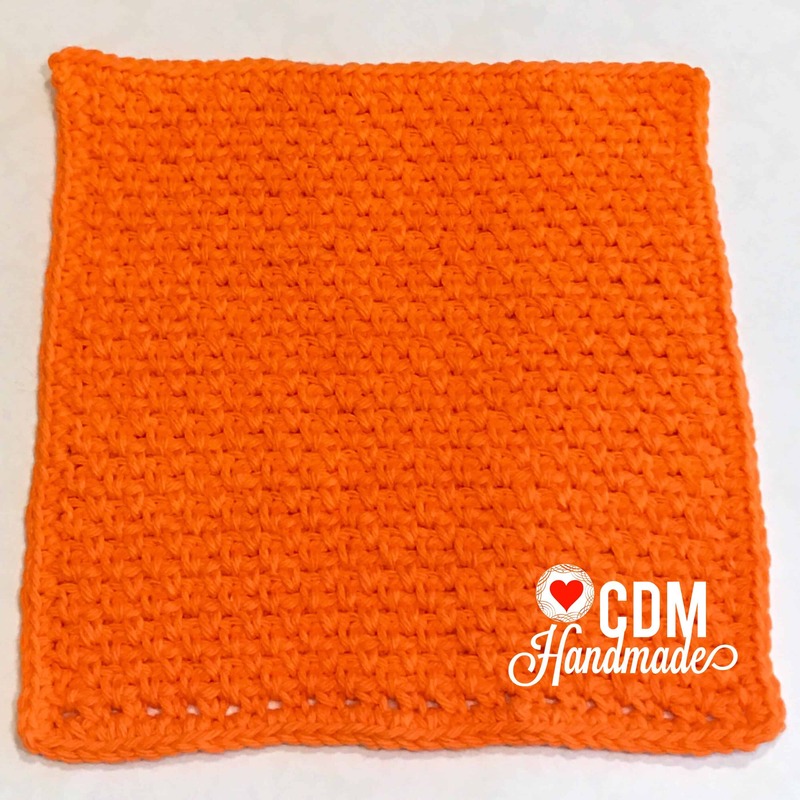 Welcome to post #3 in my Crochet Washcloth Series! 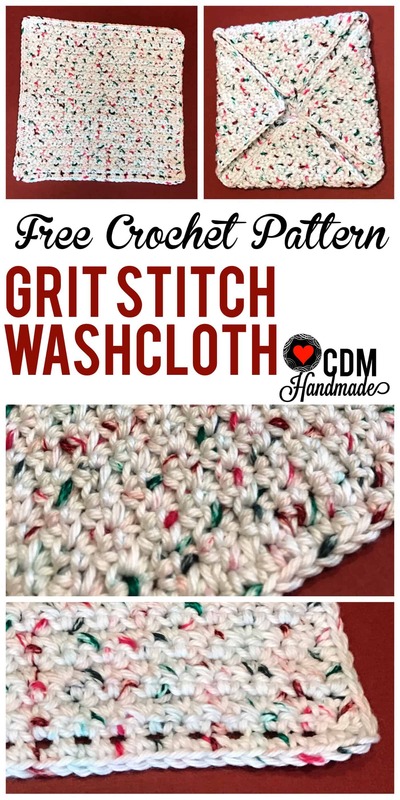 Make sure you check out free patterns #1: Grit Stitch Washcloth and #2: Moss Stitch Washcloth too! I do promise, I have lots of great ideas and free patterns in store for you! As you can probably see, I’m just getting my blog optimized, and these are great, basic patterns for you (the reader) and me (the writer) to work with! This pattern uses a combination of the half double crochet (hdc) and the slip stitch (sl st). Together, it is called the “crunch stitch”. I’ve also seen it called the “dijon stitch”, but that just reminds me of mustard, so I prefer the term crunch. You know, kind of like potato chips, yum! 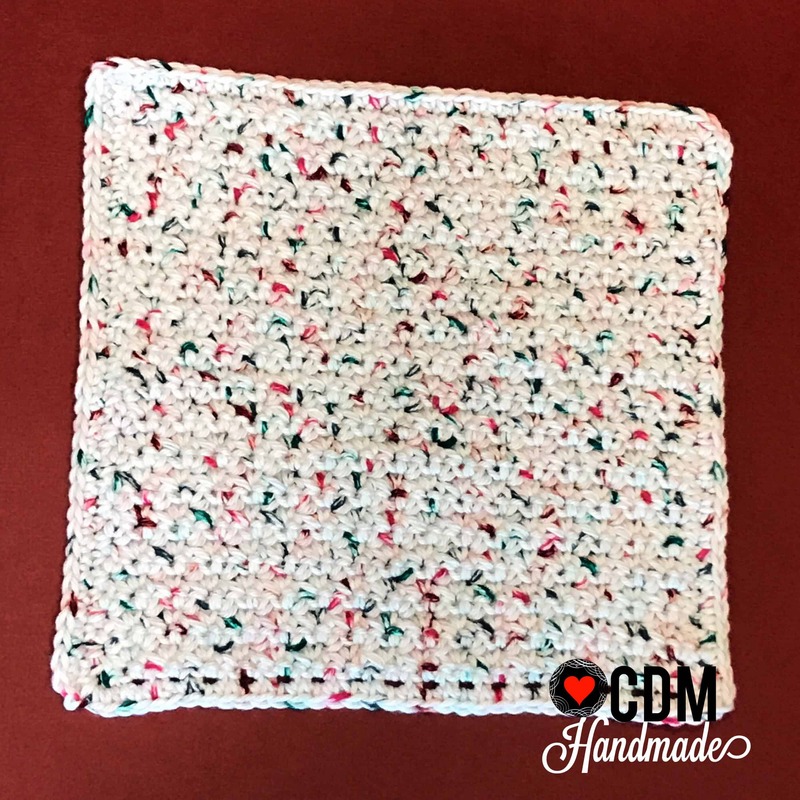 Truthfully this is my favorite crochet washcloth to use for dishes and I have several customers who specially request this one. It really does have a fairly stiff “crunch” to the texture that just makes it so easy to scrub up your dirty pans! 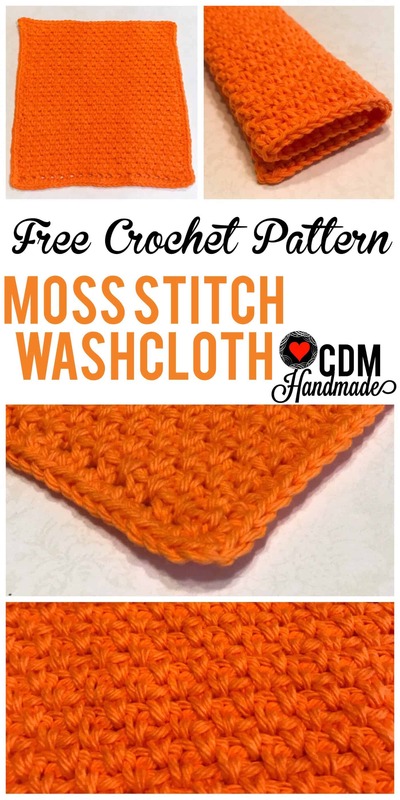 Here is your free pattern for the Crunch Stitch Crochet Washcloth! Row 1: Sl st in 2nd ch from hook, *1 hdc in next ch, Sl st in next, repeat from * across, turn (36). Row 2: ch 1, Sl st in 2nd ch from hook, *1 hdc in next st, Sl st in next, repeat from * across, turn (36). Repeat Row 2 until you reach the desired length. Depending on your yarn, hook and gauge, the row number will vary, but mine is usually 33 rows. Tip: I usually fold my project in half diagonally to check how “square” it is. You can also measure each side to ensure they are equal. Finishing: Ch 1, sc in the corner. Continue down the side of the washcloth, sc in each stitch. In the next corner stitch sc, ch 1, sc. Continue around entire project, repeating the corner pattern (sc, ch 1, sc) on each corner until you’ve completed a row all around your project. Join with slip stitch to the first sc. There you have it, another completed crochet washcloth to add to your collection! But don’t go do any dishes, that would be a waste of great quality crochet time – grab another skein and hook up another one! Thanks so much for visiting my blog! I would really love to hear what you think and see anything you’ve created with my patterns, so leave me a comment or send me an email! 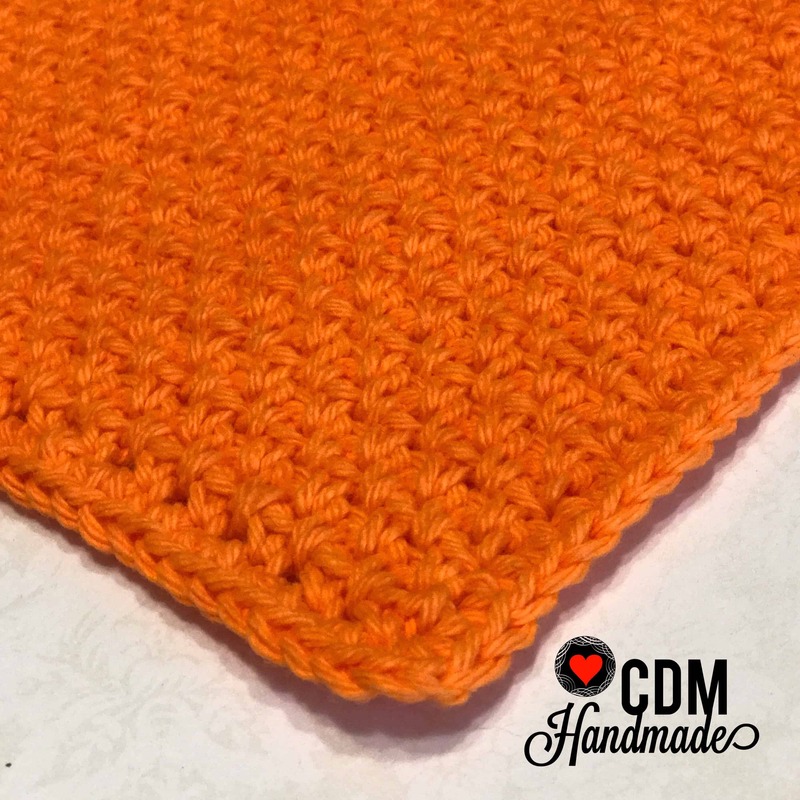 Welcome to post #2 in my Crochet Washcloth Series! Did you get a chance to make my first pattern? 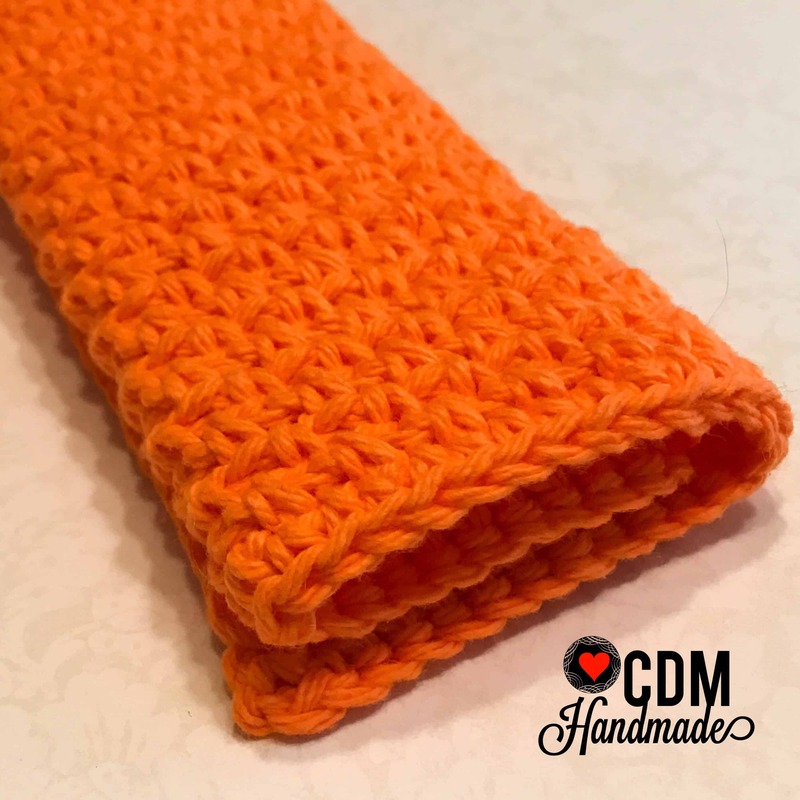 Check out the Grit Stitch Washcloth! So why a series about washcloths you ask? Well, as I learned to crochet, I made a lot of them. And I gave a lot as gifts. But I only gave away the nicely finished ones of course – you know, like when you cut baked goods to give as gifts: you give the nice ones away and only get to eat the rejects of broken cookies and mushed up brownies. The same went for my washcloths – I only got to keep the ugly ones and the ones that were imperfect. Through this trial and error of using the “rejects”, I found which were my favorite to use in the kitchen as well as my favorite to crochet! I discovered this stitch, the moss stitch (also called the granite stitch), when the crochet world was abuzz about “Planned Pooling”, but that’s a story for a different day! 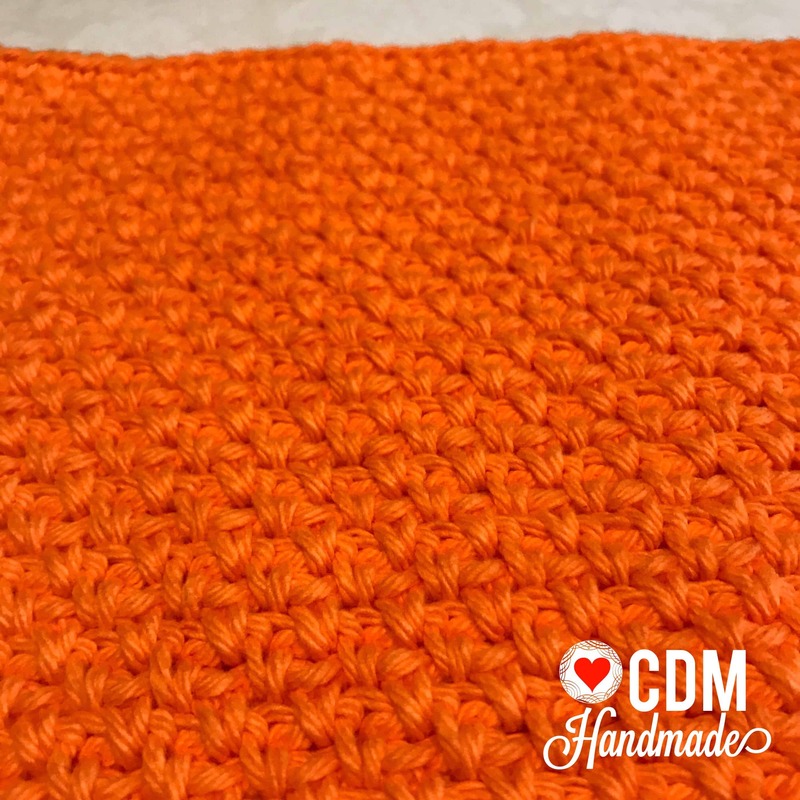 It is a very easy stitch, but so satisfying in its symmetry and makes a very stretchy and pliable washcloth. It would work fine for dishes, but this washcloth would be lovely gifted with soaps to be used as a facecloth too. Moss stitch is a very easy combination of single crochet and chain stitches and is described below, but if you want a good tutorial, please visit Moogly Blog here for a more detailed description. So here is Washcloth #2 in my series of my favorite patterns! Finishing: Ch 1, sc in the corner. Continue down the side of the washcloth, sc in each stitch. In the next corner stitch sc, ch 1, sc. Continue around entire project, repeating the corner pattern (sc, ch 1, sc) on each corner until you’ve completed a row all around your project. Join with slip stitch to the first ch. Thanks for visiting my blog and supporting me! until my skills improved enough to actually call my creation a washcloth! I also tried a large variety of patterns until I found the patterns I preferred to use as a finished product. 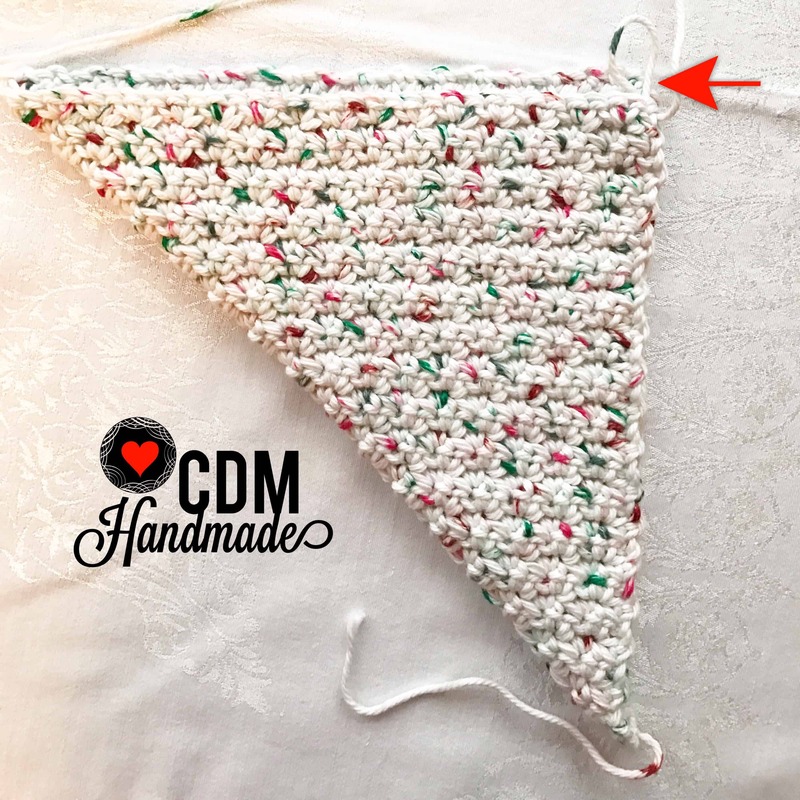 This pattern is a very simple beginner project using a combination of just single crochet and chain stitches. Repeat Row 2 until you reach the desired length. Depending on your yarn, hook and gauge, the row number will vary, but mine is usually 34 rows. 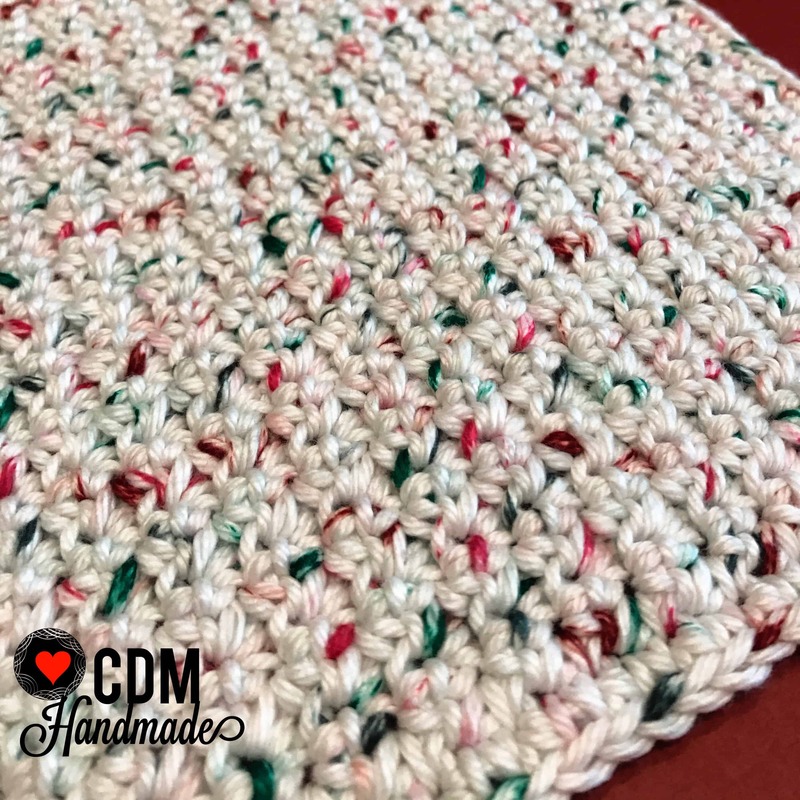 I first learned the grit stitch and made a washcloth using this pattern from Moogly Blog, but adapted the pattern to my favorite size and edging. 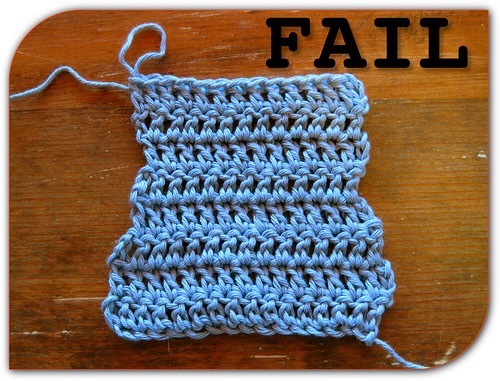 Please visit Moogly Blog for a great video tutorial on the grit stitch. Thanks for visiting my blog for my first free pattern and for supporting CDM Handmade!